I’ve been a volunteer firefighter/EMT since 2004. It was interesting to me to learn that it is a family profession. My great uncle Fred Witt was a firefighter in Skokie, Illinois. 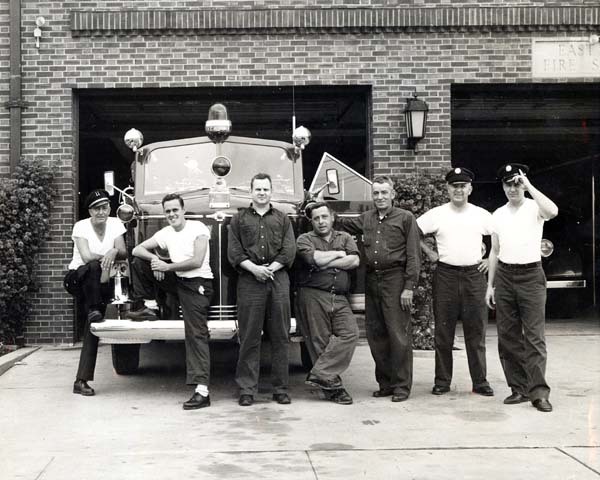 This photo, taken in 1956, shows firefighters in front of the Hamlin Avenue Station. They include (left to right) Captain Jaeger, Bobby Burke, Bernie Weber, Rich Baumhardt, Al Suckow, Russ Van, and Fred Witt. They are standing in front of a 1948 American LaFrance pumper with 1,000 GPM capacity. This photo was taken in 1969. 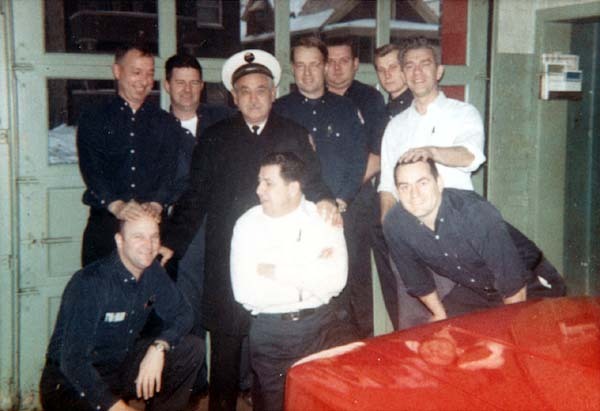 Fred Witt, now a lieutenant on the fire department, is kneeling in the center (white shirt) with his men at the Floral Avenue Station. This is the last shift for his crew before this firehouse closed later that day.